[W]ith the reconsideration of directors like Douglas Sirk and the application of (gasp) irony, “melodrama” isn’t the dirty word it once was. Initially, film studies criticism used the term pejoratively to connote unrealistic, pathos-filled, campy tales of romance or domestic situations with cliché-ridden characters intended to appeal to female audiences. Understandably, these were considered to be lesser films, sentimental pap churned out by the Hollywood tear-jerk machine. And if one couldn’t look beyond these tropes – if the viewer were unable to see through them – they might find themself (like many critics of the 1950s) unjustly unwilling to give credit where credit is due. Sirk, for example, a contract director working mostly at Universal, was known for turning out dizzy romantic fiascos; glossy and kitsch, excessive and (sometimes) silly, these dependable studio projects were routinely panned by critics and “sophisticated” audiences. What these viewers missed was the subversive strain running through Sirk’s art. He wasn’t just making a melodrama, he was using it. 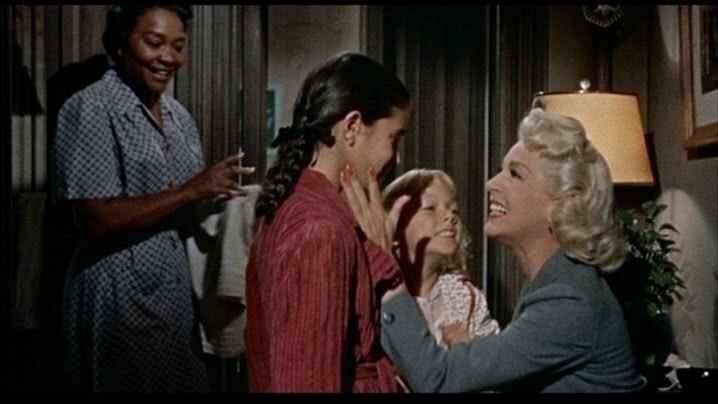 Even the critic James Harvey admits to “missing” Sirk the first time around, remembering his biggest hits, Written on the Wind (1957) and Imitation of Life (1959), to be “unredeemably bad”. But twenty years after its release, Harvey returned to Imitation of Life and found himself overwhelmed. My awareness of even a possible ironic intention seemed to transform the movie for me. As it had, it seemed, for the audience around me, who were responding to it in a way no imaginable 1950s audience could have: being alert and to and amused by every hollow ring in Lana Turner’s multi-costumed, leading-lady performance, for example, just as I was being. We had become an audience for the “Sirkian subtext”, as it was called. And we were no longer (as we had been years before) jeering alone. This time even the director was on our side. Film Studies For Free today celebrates studies of the work of Douglas Sirk with an almost melodramatically long list of links to online scholarly items on this director's films and some of the films they have influenced. The list builds on Kevin B. Lee's very valuable, existing webliographical work.